Spring is finally here, and if you’re fortunate enough to have clear skies, sunshine, and blooming flowers, we bet you can’t wait to start enjoying the outdoors. What better day to turn off the TV and video games and get active? After much of the country has spent months being cooped up inside during the winter months, we all need some fresh air! Plus, it's good for you! 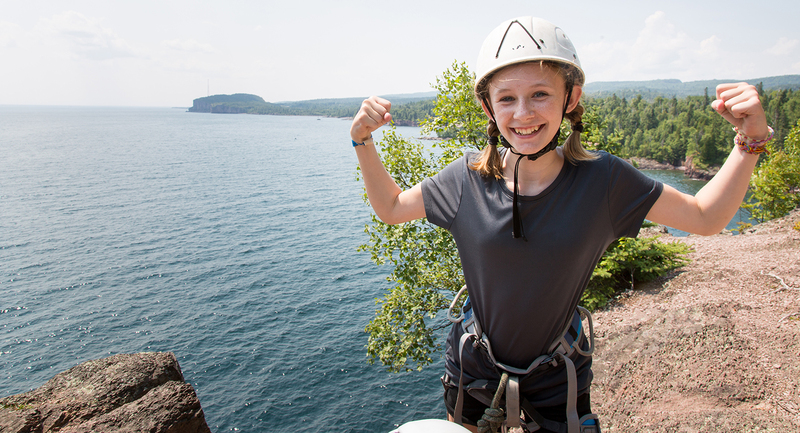 In 2014, the Girl Scout Research Institute proved the value of outdoor exposure in their study More Than S’mores: Successes and Surprises in Girl Scouts’ Outdoor Experiences. According to this report, the outdoors offers benefits often unavailable inside, including the freedom to move around freely and be as loud as you want. Whereas the indoors inhibits your ability to run, jump, and relay race—the outdoors is literally your playground! Monthly outdoor exposure contributes to girls' challenge seeking and problem solving. Time spent in nature also enhances leadership skills. See? We all win. So, are you ready to get up and get out in honor of the first day of spring? We are! Share your adventure-seeking, awe-inspiring photos using #gsoutdoors and tagging @girlscouts on Instagram and Twitter to be part of the LARGEST Girl Scout photo collage in the world! And if you need more ideas on how to get your girls outside, don’t worry—we’ve got you covered!